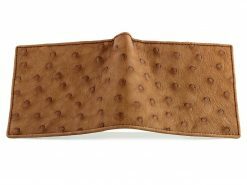 cast your eyes over luxurious ostrich leather wallet where we’ve used the same ostrich leather inside and out. 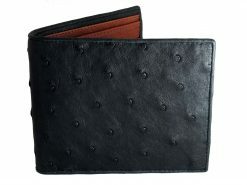 This classic mens leather wallet looks great, feels wonderful and is soft, supple and durable. 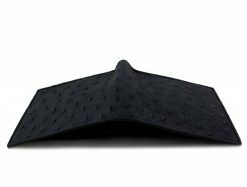 Tanned a deep ocean blue, it’s the perfect gift for the guy who spends his time on the water, or the armchair dreamer watching that big game fishing show. This not you or your guy? 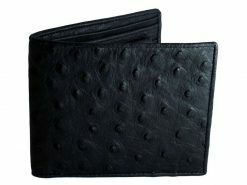 Then just buy it for yourself cos you love it! 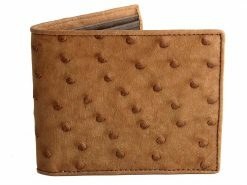 That’s why an ostrich leather wallet like this has been as popular for decades as it is today. 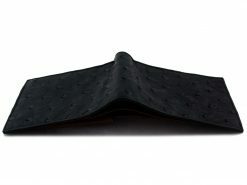 Mens wallets don’t get more luxurious than this.